Gum recession is a common issue associated with poor oral hygiene. It’s most common in individuals aged 60+, but can occur in nearly any stage of life. After all, if you don’t brush and floss regularly you’re putting yourself at risk for gum recession. Common symptoms of gum recession include sensitive and loose teeth. More advanced stages make your teeth look like they’ve lengthened. Treating gum recession starts with proper brushing and flossing, however, more advanced treatments include gum grafts. The pinhole surgical technique is an improved, less invasive treatment that can help to treat gum recession in a fast and effective manner. Pinhole rejuvenation is minimally invasive and is used to straighten and correct uneven and receding gum lines. During the procedure small holes are punctured into the gums. Once the holes are made the gums are then loosened using a tool. Once the gums are loosened the gums are maneuvered into place and filled with collagen which helps to keep the gums in place. Dr. Kronquist uses local anesthetic to numb the area he is working on, so you won’t feel any discomfort during the procedure. He is committed to making sure every patient has an enjoyable experience that’s pain-free, quick, and effective. What is involved in pinhole rejuvenation? The amount of time pinhole rejuvenation takes depends on the number of teeth that need treatment. 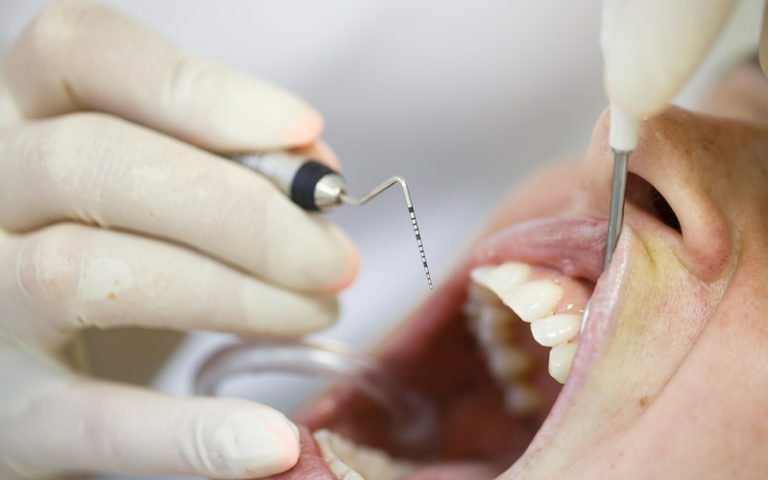 Traditional treatments like gingival grafts take two hours for just one to two teeth, but with pinhole rejuvenation, each tooth takes about ten minutes and up to three teeth can be repaired through one pinhole (this depends on the individual). Recovery is quick and takes about a day because there are no open wounds, incisions, or stitches that need to heal. Yes! Pinhole rejuvenation works to permanently improve the gum line, however, the amount of time the procedure lasts will depend on how well you care for your mouth. It’s important that you brush twice daily, floss once a day, and visit the dentist every six months so that you can ensure your mouth is given the opportunity to enjoy permanent healing. During the 24 hours you’re healing we recommend not flossing or brushing around the area that has been treated. After a whole day, you can go back to brushing and flossing regularly. What are the benefits of pinhole rejuvenation? Pinhole rejuvenation offers a variety of benefits that make it a popular procedure. One of the most noted benefits is the instant cosmetic improvements. Immediately after the procedure your teeth will have a more natural appearance and not appear as lengthened as they did. Additionally, this procedure is pain free, requires little down time, no incisions or sutures, and has minimal swelling. If you’re experiencing tooth sensitivity or gum recession schedule and appointment to talk with Dr. Kronquist. He can take a look at your mouth and determine if gum recession is your problem and whether pinhole rejuvenation is the best option for your needs.